For more than 20 years Ecocert has been a globally recognized standard for natural and organic cosmetics. In 2010 five leading European certification bodies have developed the Cosmetics Organic Standard (COSMOS-standard) to harmonise organic cosmetic standards globally. 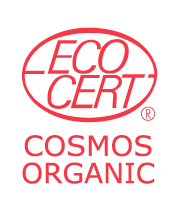 As a consequence, our Ecoverte™ range is now COSMOS organic certified.